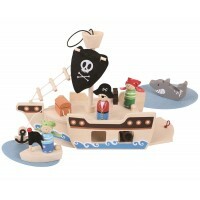 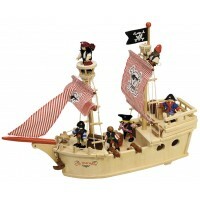 Generations of children have enjoyed playing with toy castles and pirate ships. 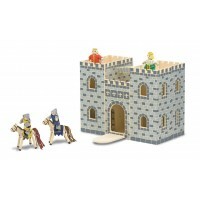 Nowadays these toys are more popular than ever and our selection of wonderful wooden castles and ships will delight thoughtful children who love playing games and reading stories of times gone by. 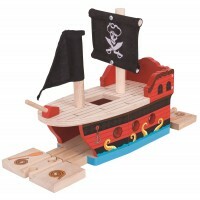 Our wooden pirate ships have lots of clever details for authentic and imaginative games, whilst our magnificent castles will many hours of magic medieval fun and adventures. 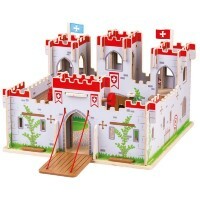 Whether you are defending a castle or laying siege to it, or if you're captain of a pirate ship or trying to escape, we've got a wooden toy for you!